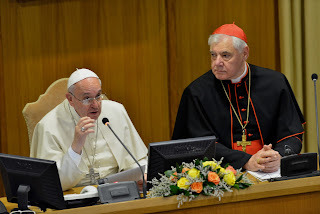 All Smiles Again in the Conciliar Church: Cardinal Muller Caves! Dubia gets nowhere. Fraternal Correction gets nowhere. Its full steam ahead for Conciliar Apostasy. 2018! Dr. Chojnowski: Here is a recently released article by Andrea Tornielli published in La Stampa. Not that any of this is surprising. Why would someone who denies the physical resurrection of Our lord Jesus Christ defend the church's teaching on divorce and remarriage to the death if necessary? Rocco Buttiglione was a close friend of phenomenologist Dr. Damian Fedoryka and worked with Josef Seifert at his Philosophical Academy in Lichetenstein that was enthusiastically supported by fellow Phenomenologist john paul II. WHEN IS IT THAT WE FINALLY SAY, FOR THE GOOD OF SOULS, THAT "CONSERVATIVE CATHOLICS," INSOFAR AS THEY AGREE WITH THE TEACHINGS OF THE CONCILIAR CHURCH, ARE NOT CATHOLIC? IRS approves Sister Lucy Truth as a Non-Profit Tax-Deductible Organization. 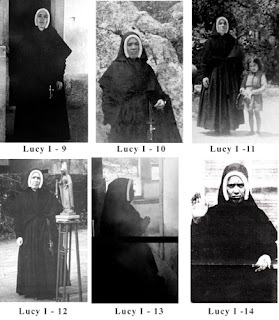 Help Me to Find Out the Truth About Our Lady's Beloved Lucia. In 2018, It Begins! Hermeneutic of Continuity? Yes, but just not Continuity with the Catholic Faith: Fr. Peter Scott's Account of the History of the Humanist Apostasy from the Renaissance to Benedict XVI and his "co-pope" Francis. And, let us remember the great Humanists of modern times and the great things that they have done for humanity, Stalin, Mao, Pol Pot, Freud, Martin Heidegger, Robespierre, Karl Marx, Margaret Sanger. 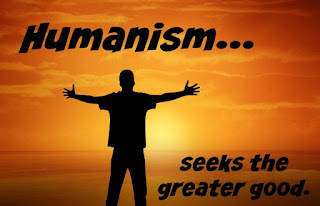 With "humanism" like this, I am surprised that humanity has survived. Tridentina Malta reaffirms its information: Francis will make the 1962 liturgy mix with the 1969 modernist meal. 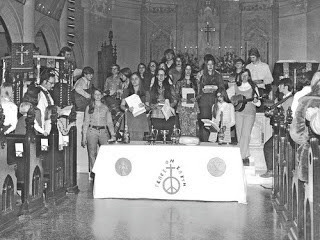 Proof that every year of the 60s brought with it a New Devolutionary Stage of the Sacred Liturgy. The Latest from Tridentina Malta Recalling the liturgical changes of the 1960s The changes in the liturgy began in the 1950s, with the revision of Holy Week and the first simplification of the rubrics in 1955. A further simplification occurred in 1961, leading to the publication of the 1962 Missal. Those changes set the stage for what was to follow, especially after Sacrosanctum Concilium. The imprudence with Sacrosanctum Concilium which called for “noble simplicity” and for the rites to be “simplified”, without specifying what exactly that should entail, in my opinion, ensured that chaos was to follow. The transitional period before the implementation of the so-called Missa Normativa, which became the Novus Ordo Missae, had in fact many revisions. Mass around 1965. The 1962 Missal, still in use to this day by traditional Catholics, started being changed almost immediately. In 1963, changes eliminated the Prayers at the Foot of the Altar, and eliminated the Last Gospel. 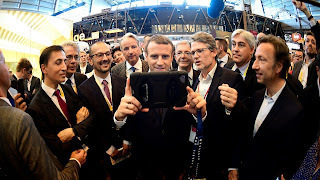 Charles Martel Call Your Office: Macron gives away Christendom. But, of course, someone has to pay for all the make-up! 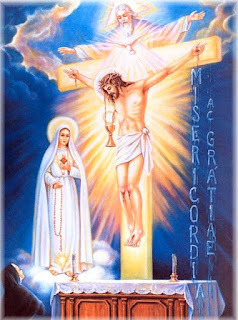 Dr. Chojnowski: Here are just a few of my thoughts on the part of the Fatima Message spoken of in the December issue of Cornelia Ferreira's newsletter.